If you have ever had to deal with the stressful situation of water damage from a broken water pipe, a ejector pump that quit working, or the deluge of a major flood, your first thought is about trying to repair the damage yourself to save money. 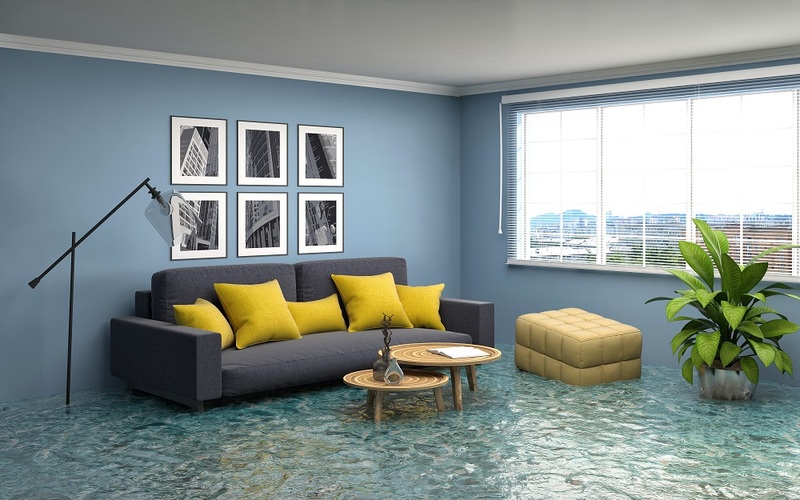 There are many reasons you shouldn’t try water damage restoration on your own. Depending on the severity of the damage, you could miss additional potentially hazardous conditions. The visible water damage to your home is superficial. Water travels deep into cracks and crevices, soaking into wood studs and flooring, possibly affecting your electrical system, damaging other equipment, or leaving moisture where you can’t see it, allowing for the growth of mold. The best water damage restoration companies employ professionals who are trained properly to handle these situations. They do a thorough inspection beyond the area where water damage is visible, and use industrial-grade equipment to extract water and dry all areas with specialized air movers and dehumidifiers. They have the equipment to repair and clean affected walls and floors. When a flood occurs, you could be exposed to raw sewage with harmful bacteria, fungi, or dangerous chemicals in the water. Professionals from water restoration companies in Roswell wear protective gear that you most likely don’t have. They will completely cover every inch of your home that is affected by water damage. They are detail oriented, and not only extract water and dry the area, but they repair sections of walls and floors using materials with moisture barriers to prevent future growth of mold, inspect for new signs of mold, and inspect electrical systems for any signs of damage. Mold grows naturally in the environment. It feeds off dead organic matter by breaking it down, such as dead trees and plants. There are many sources that sustain mold growth indoors: a damp basement, water condensation from pipes, old carpet and pad, drywall, plywood, and furring strips, to name a few. Invisible dust and cellulose are food sources for mold. There are many types of mold, some more dangerous than others. All mold can cause allergies and respiratory problems, but black mold is toxic and can cause neurological problems and even death. Only a professional, who is trained to handle these situations, has the right equipment and protective gear for mold remediation.